John P. ("Jack") Cress has spent his whole adult life associated with rotary wing aircraft. In addition to his near-4,000 hours as a pilot, Jack has been responsible for helicopter maintenance and logistics programs at various levels, formulation of helicopter safety initiatives, leading a NAVAIR program office, serving as product and project manager of helicopter crashworthy seats, and teaching various aspects of helicopter safety and accident investigation. He has been a member of the Vertical Flight Society (founded in 1943 as the American Helicopter Society, and later, AHS International) for 48 years and in that time attended upwards of 42 VFS Forums. Although one might think that Jack had grown up in the shadow of a helicopter factory or had a parent involved with helicopters, he grew up in Cincinnati, Ohio, without any aviation associations. Spurred by Sputnik, he enrolled at the Ohio State University in 1962, where he earned a B.S in Aeronautical Engineering, with the aid of an NROTC scholarship. Following commissioning and USMC Basic School, Jack first earned Army wings in the TH-55 and acquired additional skills in the UH-1. The initial training was followed by the additional training required for designation as a Naval Aviator. Another skill acquired was the non-intuitive skill of landing a helicopter onto a ship and taking it off again. Subsequent to a helicopter squadron shipboard deployment, he flew the CH-46 in the Quang Tri, Hue/Phu Bai and DaNang operating areas of the Republic of Vietnam for a year. In Vietnam, Mr. Cress flew several types of combat missions including resupply missions, medical evacuation, troop insertion and extraction, and reconnaissance insertion and extraction missions. On one of these night reconnaissance extraction missions near the Ho Chi Minh trail, Jack and his crew were able to extract seven recon Marines who were surrounded. As aircraft commander, Jack was awarded the Distinguished Flying Cross. Jack is quick to point out that the success of such a mission depends on the quality and valor of the entire aircraft crew, not just the individual flying. Later, he served as operations officer of a ship-borne helicopter squadron in Beirut, Lebanon. That unit provided record-level flight support to the U.S. Multinational Peacekeeping Force, and was later awarded the National Defense Transportation Safety (Unit) Award for its Beirut service in 1983. More than 3000 of Jack’s 4000 flight hours were logged in the CH-46, a significant part of which involved maintenance test flying. Other rotary wing aircraft that Jack has logged time on include the UH-1, OH-58, CH-53, AH-1, and the TH-55. He has also logged time in fixed-wing aircraft ranging from the Cessna 152 to the AV-8. Jack’s non-flying assignments included service as NAVAIR’s program director for the H-46, C-130 and OV-10. He also served as Depot Engineering and Quality Officer for several vertical lift aircraft, including the AV-8A/B/C, after which he served as intermediate level Maintenance Officer for the UH 1N, CH-53E, CH 46E, AH-1T and the C-130 in Okinawa, Japan. 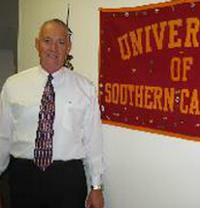 Always an avid student, Jack was very active in education throughout his military career. While still on active duty in the Marine Corps, he completed course work for the M.S. in Aeronautical Engineering at the Naval Post-Graduate School and added a Program Manager certificate from the Defense Systems Management College to his resume. In addition to being a student, Jack also began teaching while on active duty. He was twice assigned to the U.S. Navy’s Aviation Safety School, where he initiated the course in Helicopter Aerodynamics and taught elemental Structural Failure Analysis in support of the School’s accident investigation program. Jack has built on these early teaching experiences and he continued to teach throughout his military career. His military awards include the Meritorious Service Medal, the Distinguished Flying Cross (crew: Morosky, Kersten, Riggs, Matise), the Air Medal (numerals 31 and gold star), the Navy Commendation and the Navy Achievement medal (with combat V). After retiring from military service, Cress accepted a position with Simula Inc. as a Product Manager for military seats. This role saw Jack also acting a project manager leading Simula’s military seat development teams and interfacing with airframe manufacturers and military activities worldwide. He was involved in developing seats, armor, and inflatable restraint systems for a wide range of existing and developmental rotary wing aircraft including: the RAH-66, OH-X, EH101, CH-149, UH-1Y, AH-1Z, V-22, AH 64, C-17, MH-60K/R/S, H-47F/G, VH-71, and others. While at Simula, Jack taught for the International Center for Safety Education (ICSE), which was owned by Simula at that time. After 12 years at Simula, Jack moved to the Monterey Bay area, a short drive from the Naval Post-Graduate school, and began self-employment in various teaching and consultancy roles. Through his company, Vortechs Helicopter Analytics, he has taught numerous courses for several institutions including: Embry-Riddle Aeronautical University, the International Center for Aviation Safety (ICAS), and the Sun Safety Institute. Jack also teaches parts of the Helicopter Accident Investigation and Aircraft Accident Investigation courses for the University of Southern California Aviation Safety and Security Program. He has delivered short courses and guest lectures for units with the U.S. Air Force, U.S. Navy, U.S. Army, U.S. Marine Corps, the U.S. Coast Guard, the Republic of Singapore Air Force, South African Air Force, and the Australian Defense Forces (ADF). He has taught in the rotorcraft accident investigation classes at the National Transportation Safety Board and the Transportation Safety Institute. He was one of a team that developed and presented a crashworthiness course for the ADF and has assisted in evolving this course from a primary focus on rotary wing aircraft to a broader applicability to all ADF aircraft. He has also presented courses in conjunction with VFS Forums 70 and 71. Jack has a wide-ranging knowledge of aircraft and uses this knowledge to stretch the attention span his class attendees with aviation trivia questions. His aviation technology passion was also sufficiently contagious to inspire one of his children to pursue a professional piloting career. In addition to teaching the short courses at Forums 70 and 71, Jack continues to actively participate in VFS activities by attending the Annual Forum and Bay Area chapter meetings. He aspires to contribute future efforts to VFS and other organizations with a mission of the advancement of rotary wing technologies and safety of operations.